Apple is working on dozens of original TV shows and movies with high-profile directors, producers, and actors, with all of that content set to be available through a new Apple TV+ app that's going to be released this fall. 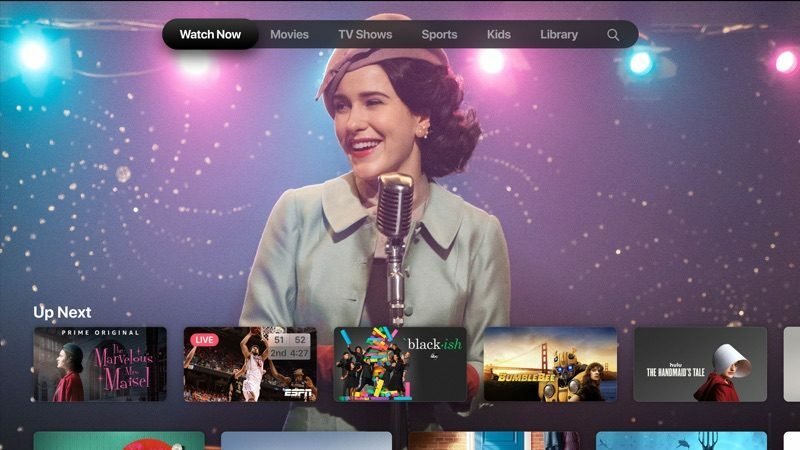 In the guide below, we've rounded up everything that we know about Apple's new streaming TV service. Apple TV+ is the name of Apple's new television service that will be home to the original TV shows and movies that are funded by Apple. There are more than 30 in the works, with a list available in our dedicated Apple TV show guide. Apple is aiming to compete with existing streaming services like Hulu, Netflix, Amazon Prime Video, HBO, Showtime, and others with its original content and has brought on huge names ranging from Steven Spielberg and J.J. Abrams to Oprah. Well-known actors and actresses like Jennifer Aniston, Reese Witherspoon, and Steve Carell are involved in Apple's upcoming TV shows. What's Apple's goal with original content? Apple says that it wants to make Apple TV+ the home for the "world's most creative storytellers," providing funding and a platform for TV shows, movies, and documentaries with "inspiriting and authentic stories with emotional depth and compelling characters." Apple wants Apple TV+ to offer the "highest quality" original storytelling available. Nope. Apple says that Apple TV+ will be ad-free and available to watch on demand. Apple hasn't announced pricing for Apple TV+ yet, but if the company wants to be competitive with Hulu, Netflix, HBO, and other streaming services, it will need to be priced in the range of $10 to $15. There were rumors suggesting Apple was going to make its original content available for free, but it doesn't look like that's happening. Apple says that Apple TV+ will launch this fall, which is presumably when enough of its TV shows will be done filming to make it worthwhile. Much of the content is still in development. Apple TV+ will be built into the Apple TV app, which is being overhauled this May. The new Apple TV app will provide access to Apple TV+ content right alongside content from third-party providers, with new machine learning and AI techniques used to recommend content that's perfect for you. What's the difference between Apple TV+ and Channels? The revamped TV app will also include "Channels," which will let you subscribe to and watch services like HBO, Starz, SHOWTIME, CBS All Access, Smithsonian Channel, EPIX, Tastemade, Noggin, and MTV Hits, right in the TV app without needing to open a different app. Channels are completely separate from Apple TV+, which can be thought of as Apple's own channel. Along with Channels and Apple TV+, the Apple TV app will make recommendations and suggestions for shows and movies from iTunes and more than 150 streaming apps and cable services like Canal+, Charter Spectrum, DIRECTV NOW and PlayStation Vue, though content that is not Apple's own and not included in a channel will need to be watched in a third-party app just like the original TV app. Where will Apple TV+ be available? Apple's revamped TV app is coming to more than 100 countries this May, and because Apple TV+ features only Apple's own content, it will be able to be released worldwide wherever the TV app is available. Apple TV+ content will not be available outside of the TV app. What devices will support Apple TV+? Apple TV+ will work wherever the TV app is available, which includes iPhone, iPad, iPod touch, and Apple TV, along with the Mac. There's no TV app for Mac right now, but Apple plans to introduce one this summer. Apple is also expanding its TV app to Samsung Smart TVs in the spring, and Sony, Vizio, and LG TVs later in the year. The TV app is also coming to Amazon Fire TV and Roku. See something we left out of our Apple TV+ guide or have a question not answered here? Let us know in the comments or Send us an email here.